How are jazz careers made? Many have remarked on the big historical shift: musicians used to apprentice on the road with masters and learn the language firsthand, but those cultural conditions are fading, and the bandstand has been replaced by the graduate degree. There’s truth in that narrative, and yet it fails to account for the full variety of paths that players are taking as they strive to find their voice in this music. For alto saxophonist CHRISTOPHER BURNETT, the journey involved spending 22 years as a musician in the U.S. Army. Simultaneously an award winning composer, creative improviser, an artist/ businessman and modern thinker, Mr. Burnett was also an early explorer of the digital music landscape. 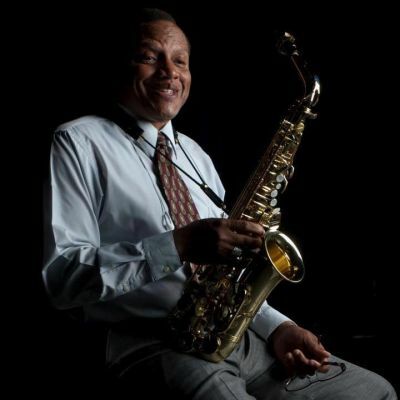 Christopher L. Burnett is a critically acclaimed alto saxophonist, educator, arts business leader, and award-winning composer who began his professional career with military jazz bands going pro directly upon graduating high school at 18 years old. He completed the recording and mixing of his fourth album as a leader titled “Standards Vol. 1” in December 2018 which is scheduled to be released commercially in February 2019 and distributed worldwide on the ARC record label. Over the course of his career, Mr. Burnett has performed professionally around the world, recorded noteworthy albums as a leader, taught at the college-level and co-founded a significant independent recording label. He held adjunct professor of music positions with University of Missouri Science and Technology (10 years) and at Metropolitan Community Colleges (5 years). Most recently, Mr. Burnett was selected as a clinician for the 2018 Kansas Music Educators Association In-Service Workshop in Wichita. A member of the official touring roster for the state of Kansas, Mr. Burnett’s jazz quintet is an eclectic instrumental music ensemble comprised of accomplished professional artists who are also experienced music educators. Concert performances feature Burnett original compositions and a select repertoire of jazz masterworks. He performed on the first Saturday of each month during 2018 at Black Dolphin in the Crossroads Arts District of Kansas City. 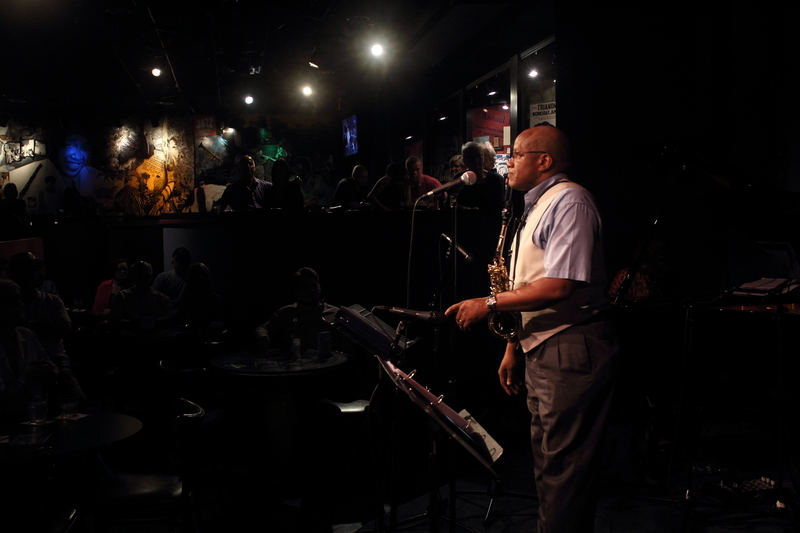 Mr. Burnett plays Selmer (Paris) saxophones exclusively and is an official Conn-Selmer artist and clinician. He has performed alongside and worked with many wonderful artists. He has shared the stage and studio with great musicians such as Bobby Watson, Will Matthews, Bob Bowman, Marcus Hampton, Ahmad Alaadeen, Bill Crain, David Basse, Sumi Tonooka, Erica Lindsay, Dino Massa, Marco Zurzolo, Lutz Herbig, Michael Session, Jeff “Siege” Siegel, Michael Jefry Stevens, Stanton Kessler, Jim Nesbit, Keith Philbrick, Jerry Coker, Kevin Cerovich, Roger Wilder, Gerald Dunn, Clarence Smith, Matt Otto and Gerald Spaits among many others. Music is a high-level form of art that transcends spoken human languages and cultural barriers. As a practicing musical artist and composer, my goal is to utilize this art form to realize my personal ideas, applied theories and developed knowledge as tangible presentations – be that in the context of a recording, presenting a public concert with my various ensembles or in the form of an educational lecture presentation. I believe that music is among those human endeavors that are inherently regenerative to the practitioner and listener alike. Jazz music is part of my heritage as a black person from the United States and as an American. Jazz music is also said to be our nation’s only original contribution to the arts and it would not exist if our country did not contain all peoples from all places on earth. Now over 100 years old, Jazz remains essentially grounded in the black American experiences parallel to the history of the United States. However, Jazz still includes essential musical elements from all of our various human cultures of earth, creatively organized as musical sounds within various constructs of time. It’s a very democratic and inclusive art form. The creative possibilities of this music are limitless. My music ensembles are priority projects for me at this point in my life and career. We play my originals and some of my favorite masterworks. So, I’m not just doing “gigs.” It’s as much about creating art, using the musical structures as vehicles for improvisation and constantly growing artistically to me. Jazz is complex music and has never been the popular music of contemporary culture during my lifetime. Yet, it’s as accessible as any art form. I perform with some of the most creative individual musicians working in Jazz today. Personnel members for my ensembles are selected based upon both talent and attitude. Musicians should believe in the leader’s vision and ensembles should play together toward developing a group identity too. That’s what all of the great Jazz ensembles have in common. And this is the dynamic that I wish to emulate. Frankly, I have no desire to use my time playing music with people who look at the repertoire I’ve chosen as background music, passé or as anything less than a renowned art form. My personal mandate is, therefore, to contribute to the continuum of this music with my own artistic voice as reflected by the times in which I live and the experiences from which I am inspired. continually sharing knowledge and experiences with the community of artists, educators, and students. I am committed to subsidizing my art in the various ways available to artists in our times. As a native of the Kansas City metropolitan area, (which remains a significant center of Jazz music history,) the significance of this music to me is its integrity and honesty when practiced in the ways I hope to do so with my ensembles. The spirit of Jazz music is found within every human being – and like all art, it makes us better. I am honored to practice this art form as my life’s work. Christopher Burnett is a critically acclaimed alto saxophonist, educator, leader, and composer who began his professional career with military jazz bands “going pro” directly upon graduating high school at 18 years old. Over the course of his career, Mr. Burnett has performed professionally around the world, recorded noteworthy albums as a leader, taught at the college-level and co-founded a significant independent recording label, Artists Recording Collective. Born in Olathe, Kansas, the middle son of Clifford LeRoy Burnett and Violet Lorraine Jackson Burnett, his family traveled frequently during his youth due to his father being a member of the active US Air Force. He was ultimately raised in his maternal hometown of Paola, Kansas where the family had moved once his father’s military career concluded in 1963. He held adjunct professor of music positions with University of Missouri Science and Technology (10 years) and at Metropolitan Community Colleges (5 years). Mr. Burnett directed the marketing and communications department for then, CEO Greg Carroll, concurrent with other key positions, while working 5 years at the American Jazz Museum (2011-2016). The Missouri Arts Council appointed Mr. Burnett to serve on the Advisory Panel for Multidiscipline for one term. Most recently, Mr. Burnett was selected as a clinician for the 2018 Kansas Music Educators Association In-Service Workshop in Wichita. *Artist Notes: Bassists Andrew Stinson, Bob Bowman, Seth Lee, and Dominique Sanders; pianists Alyssa Murray, Matt Villinger and Andrew Ouellette; drummers Marty Morrison, John Kizilarmut, Danny Rojas and Jim Lower may also appear with the various CbQ ensembles. CHRISTOPHER BURNETT has performed alongside and worked with many wonderful artists. He has shared the stage and studio with great musicians such as Bobby Watson, Will Matthews, Bob Bowman, Marcus Hampton, Ahmed Alaadeen, Greg Carroll, Bill Crain, David Basse, Sumi Tonooka, Erica Lindsay, Dino Massa, Marco Zurzolo, Lutz Herbig, Michael Session, Jeff “Siege” Siegel, Michael Jefry Stevens, Stanton Kessler, Jim Nesbit, Keith Philbrick, Jerry Coker, Kevin Cerovich, Roger Wilder, Gerald Dunn, Clarence Smith, Matt Otto and Gerald Spaits among many others. Mr. Burnett is an official Conn-Selmer Artist and Clinician. He only plays Selmer (Paris) Saxophones. Photo by Tune Shop staffer.